All circuit boards are developed in house with a heavy focus on quality, high component density, and robustness. We use Altium Designer for all PCB design which enables us to reach our peak efficiency in the development of our designs. Using Screaming Circuits quick turnaround times, we have taken boards from design to implementation in less than two weeks. 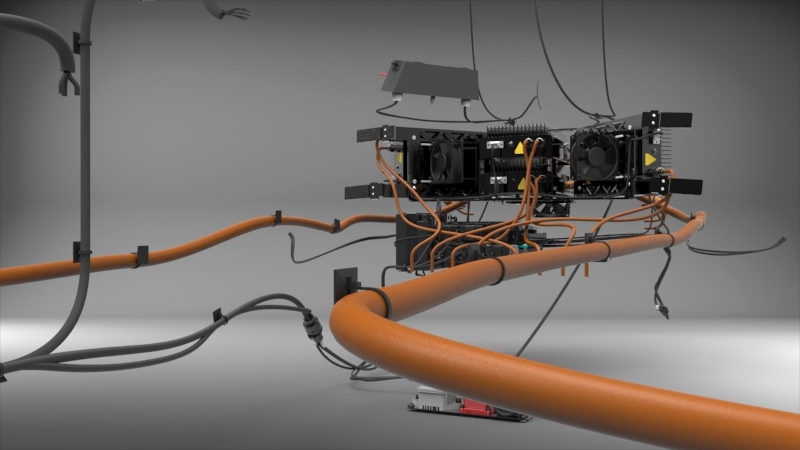 Everything is modeled in CAD down to the last wire and capacitor. We leave no gaps in our 3D models. By doing this, we have a design that is really fully integrated. This allows us to manufacture at a much quicker rate and will enable us to produce a much better final product. 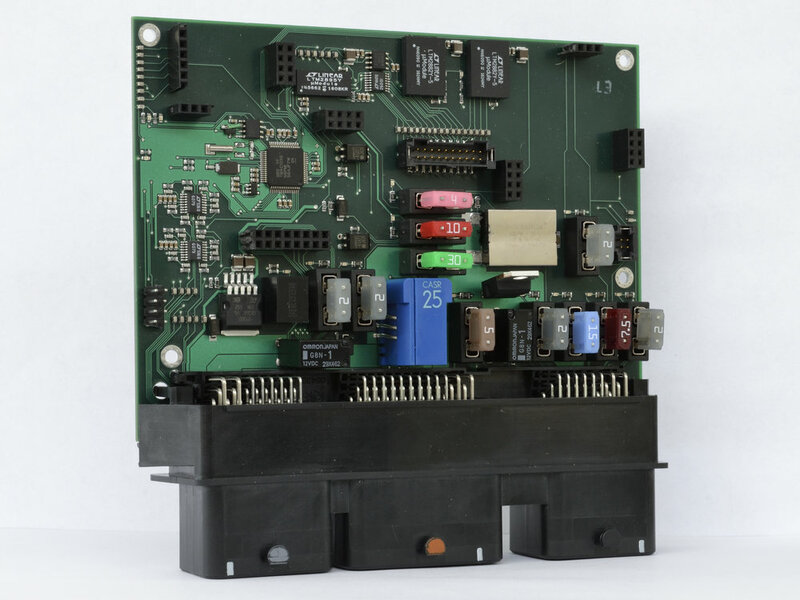 The ECU is the brain of the car and controls the information exchange between all components. It runs all the fault handling code and the traction control algorithm. 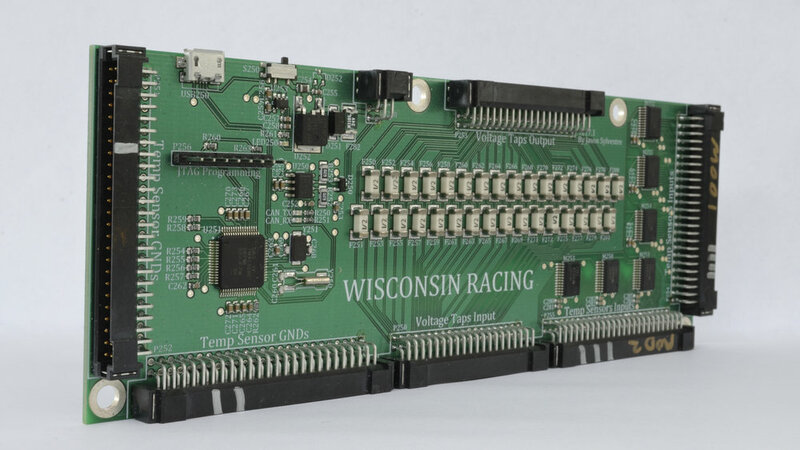 We run an automotive grade ECU called the PCM-112 from Woodward and it is donated to us by Mercury Marine. 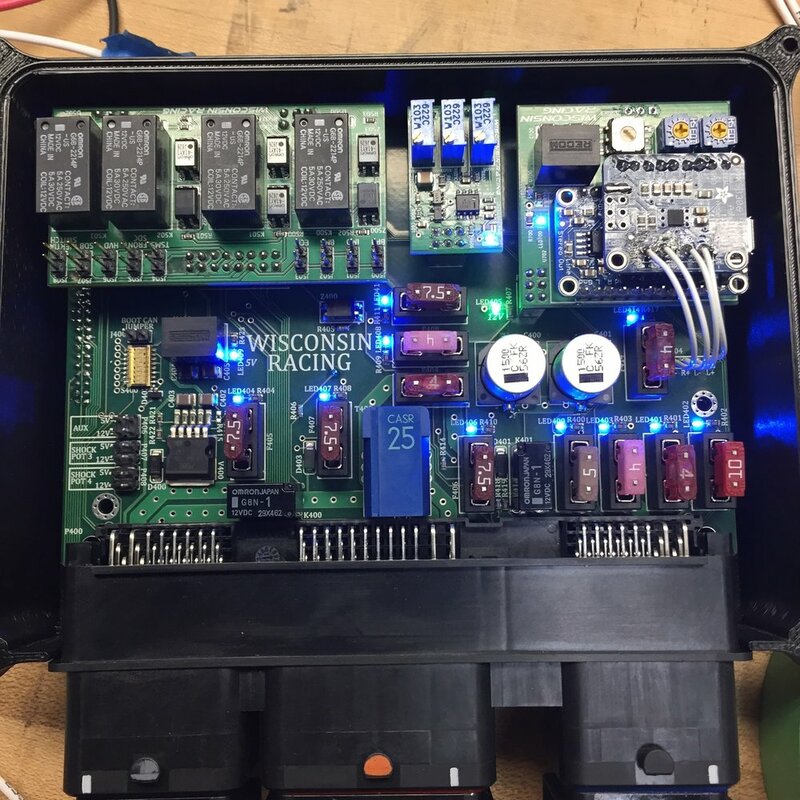 The PCM-112 is programmed in Simulink and can be calibrated on-the-fly while the car is running using wireless telemetry. It is the conductor of the orchestra of systems on the vehicle.